Join thousands of educators who are recognizing achievements over one million students by creating, issuing and displaying digital badges using Credly from within the Haiku Learning system. The latest Haiku Learning system empowers educators with a whole new way to recognize student achievement. 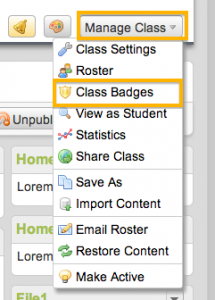 Users can create custom badges and award them to students who demonstrate new skills, achieve goals, meet or exceed core standards, or make valued class contributions. 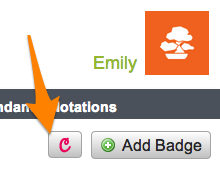 Haiku Learning’s badge tools are seamlessly integrated with the Credly digital open badge platform. Users of Haiku Learning can use Credly to showcase, curate and manage all the credit they receive, giving others a place to review their growing set of credentials. Badges representing accomplishments earned inside Haiku Learning can be combined with evidence verified in other settings to help tell a complete story of a learner’s achievements. Learners can use Credly to share achievements out to places it matters most, such as Facebook, LinkedIn, Twitter or their own blog or website. Once a school or a teacher links Haiku Learning with Credly, all badges created within Haiku Learning are automatically synced to Credly, and any badges awarded by a teacher in Haiku Learning will also be awarded within Credly. This makes it easy for students to publish and display their badges to broader audiences, and to maintain their portfolio of badges long after they’ve graduated from their current school. Learn more on the Haiku Learning blog.